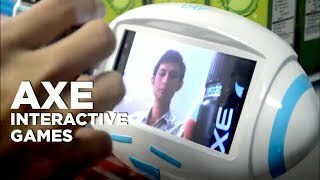 The leading intelligent media solution with interactive (A.I) technologies that enables businesses to engage their consumers uniquely, more targeted, with the ability to measure its performance. These are some of DÄV’s portfolios in enabling augmented reality for products in retail spaces. "Placement with DÄV has enabled different ways of educating our consumers in one of our growing channels. Through educative contents such as giving a quiz about our product and engagements involving taking selfies, we are able to increase our brand awareness to our targeted market. Great Job DÄV Team!" "As a brand owner that continuosly seeks new innovation, I’m thrilled to work with DÄV and through their latest innovations, I was able to reach and understand my consumers in an engaging way. Looking forward to new innovations that DÄV team will bring to the digital landscape in Indonesia"
At the age where we are living now it is becoming simpler than ever before to give out and disperse messages. Unfortunately, it is exactly because it is so easy to give them out that consumers become over-saturated with information from brands. As a result, these consumers now ignore or even actively reject new information. Which means that whereas it is getting easier to simply inform consumers, communicating with them has become more and more difficult because many, if not most, messages do not get through to the consumers. Therefore, to help brands to get through their information to their intended audience, DÄV offers intelligent media solutions where brands are now able to create a continuous cycle of communication with their consumers by Improving the Message, Delivering the Message, and Measuring the Message. DÄV is the first and only media placement that is able to and actively utilizes Augmented Reality technology. DÄV is also protected with technology patents. For the first time, with DÄV platform, consumers at retail spaces can play and interact with brands, for example by using the product’s packaging to control various contents such as 2D/3D animations, videos as well as playing games to win prizes. Instead of passively waiting for consumers to come, DÄV with its AI module able to actively and audibly call to the consumers to approach the unit. This feature helps consumers know when there are DÄV units nearby. It also makes it harder for consumers to ignore DÄV. DAV units can be adjusted to existing retail environment, from located nearby to product(s) that is at the rack shelving area or stand alone kiosk in high traffic locations. DÄV creates intimacy between brands and their targeted audience through several methods. 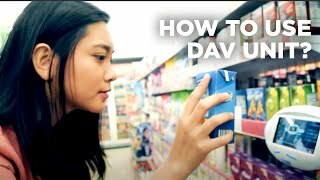 Using DAV in retail spaces, DÄV "forces" the consumers to pick up the product, which in itself already create a sense of proprietorship of the product at hand and increases substantially the chance of purchase. Second, as consumer has to use the product packaging in order to enjoy the fun and exciting content of DÄV, it further creates a sense of attachment to the product. Lastly, DÄV allows brands to utilize DÄV’s content to connect consumers to brands’ social media channel. DÄV creates intimacy between the products and their consumers through several methods. First of all, DAV "forces" the consumers to pick up the product, which in itself already create a sense of proprietorship of the product at hand and increases substantially the chance of purchase. Second, as consumer has to use the product packaging in order to enjoy the fun and exciting content of DÄV, it further creates a sense of attachment to the product. Lastly, DÄV allows brands to utilize DÄV’s content to connect consumers to brands’ social media channel. Instead of using a limited sampling to generate the data, DÄV account and calculate each and all customer’s interaction per unit per location to provide a more complete picture to better understand the consumers of the products. With the enhancement of our AI algorithm, DAV is able to perform demography analysis such as gender, age, facial expression, and etc. DÄV units are able to provide a Brand Interaction Index (BII) that enables brand to better understand consumers’ behaviors. The BII contains data such as the total number of interactions per SKU, stores engagements, and even prime time engagement reports. DÄV units measure and record each interaction in real-time and as such will be able to give up-to-date reporting. As brands and retail owners are able to receive important information faster than before, they can also now respond earlier. Coming from an alien world billion of light years away from our solar system, DÄV was powered by the only ever successful prototype of the "Dream Engine". Not only this engine gives life to DÄV, equipped with this pinnacle of technology, DÄV is able to harness the elusive and ethereal power of the "Dream Particles". Using this mysterious particles DÄV can create almost anything, being limited only by his own imagination. If he can dream it, he can make it. DÄV was left stranded on earth by accident when he was trying to run away from the clutches of those who tried to use him for evil purposes. After receiving the kindness of a small family that was willing to take him in and cares for him DÄV decided to adopt earth as his new home. On earth, DÄV gradually realizes that he can do amazing and wonderful things with his power. And so, DÄV, together with those DÄV trusts, keeps on dreaming more ways to inspire and engage humanity with endless wonders, possibilities, and opportunities. 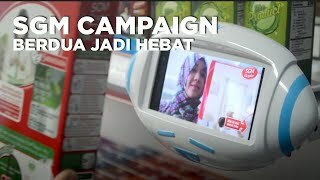 DÄV has been implemented at various high-traffic places across Indonesia, where brands connect with their targeted audiences through interactive contents. 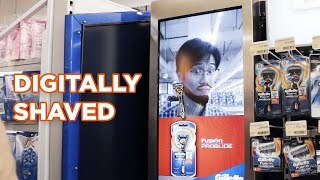 Example of how DAV works in retail. Example of how DÄV works in retail. Are your dreams powerful enough? Join the Dream Team! We are always looking for more people to dream bold, outrageous, dreams together with us, and even if we might not fit our current needs, please do send us your resume and/or portfolio to jobs@mynameisdav.com. Since... well, who knows? If we`ll like you enough we might just make one up just for you.